Long-tail keywords are terms that are more specific. They usually contain four or more words which more clearly specifies what the consumer is looking for and/or their intent. The more specific keywords you add to your product or website, you are likely to get more qualified customers visiting your site. This is because consumers who are looking for something specific to your product are more likely to purchase your products than someone who is only doing a generic search. In 2016, Marieke van de Rakt from Yoast said it is much easier to rank for long tail keywords than for more common keywords. They are easier to rank for because they are more specific, which means less competition. The graph on the left sides shows an example of long-tail keywords. The less specific the keyword, the higher the cost because there is more competition for those words. In contrast, the more specific the keywords are, the lower the cost is. Long-tail keywords are more targeted, less competitive and have a lower cost. The downside is having limited volume or traffic to your product or site because most people are not specific in what they are looking for. The upside is that those people are more likely to convert. Short-tail keywords are terms that are more general, broad, and may have multiple user intents. Everything is the opposite of long-tail keywords. For example, short-tail keywords tend to have high search volume, high competition and high cost-per-clicks, but low conversion rates. They bring a lot of traffic to your site which would be beneficial but the competition for these words are higher than long tail keywords. Even though a large number of hits may not convert, short-tail keywords may bring in a big share of your target market. Why Use Long Tail/Short Tail Keywords? Keyword research is one of the most important factors of SEO and SEM marketing and depending on the terms you use, it can make or break your campaign. The keywords you choose affects your CPC (cost-per-click), CTR (click-through-rate), page ranking and conversion rate. Using short tail keywords can get you a lot of traffic but the competition and cost is high. In contrast, long-tail keywords does not bring in as much traffic as short-tail but the customers who search for those specific terms are more likely to purchase your product. Your goal then is to find the sweet spot between or a mixture of short-tail and long-tail keywords to maximize your ROI. 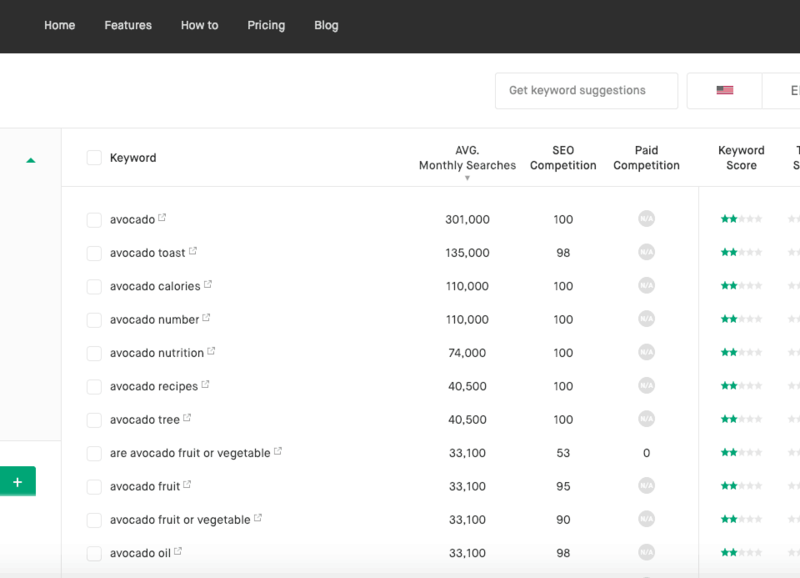 Below are three free tools you can use to find long-tail keywords. How many times you have heard about this one? Almost every single source on more descriptive keyword includes this creation of Google. No time to go through Google Keyword Planner for all your posts? Fret not, here’s a way to cheat. Make use of Google’s autocomplete suggestions to find out what are some similar sentences people are searching for. If you are unfamiliar with keyword research and LSI keywords, this article on LSI Keyword research can help you get started. You go though all this work to find your long-tail keywords, don’t mess it up by keyword stuffing! The most important rule is to include your keywords naturally! When it comes to SEO or SEM marketing, keywords are a major deciding factor for your website or product’s success or failure. Find some long tail and short tail keywords that represent your brand today!